Robotis provides educators with a versatile way to introduce students to STEM subjects. It is a versatile tool that can be used across all grade levels from the introduction of basic programming to advanced coding and engineering topics. Robotis provides an interactive and rigorous platform that will stimulate students' interest in coding, mechanical and electrical engineering, and other related STEM fields. Specializes in producing various robots and kits for hobbyists, STEM education and entertainment. Robotis produces robotics kits for STEM education, designed to introduce and engage students in subjects such as engineering, coding, physics and more. From the Play Kits to the Robotis Mini kit, students will gradually learn more about the general principles of engineering, coding, physics, and more in an engaging way. Each robotics kit comes with a fully-colored assembly guide, building tips, curriculum, pre-designed lessons, and free Roboplus software allowing you to easily build, control, program, and interface with your robots. Robotis PLAY Series are robotics kit designed to introduce studentsto simple engineering concepts by allowing students to build their own robots. The kits introduce students to the basic parts needed to build robots, including actuators, rivets, motors and more. Robotis Play 700 kit introduces coding by having students create programs for their robots through R+ Task and R+ Scratch software. Level One – Introduces basic robotics movements and their scientific principles such as the center of gravity, force, and electric power. Level Two – Teaches the basics about the structure of robots, IR sensors, and microphone sensors and more scientific and physical principles. Level Three – Teaches various topics from science theory of daily life such as infrared, sound, velocity, acceleration, and friction. Level Four – Teaches the principles of pulleys and other equipment and how to utilize robot peripherals. Level Five – More advanced teaching of robotics including machine equipment introduces scientific principles such as energy transitions. The ROBOTIS STEM kits introduce real-world engineering and physics concepts including centrifugal and centripetal force, angular velocity, the conservation of energy, and more! The STEM kits also introduce DYNAMIXEL actuators, which are used with industrial applications worldwide and introduce principles of robot programming related to them. Robotis Mini is the most advanced robotics kit in the product line and allows your students to integrate concepts explored with the Dynamixel actuators, sensors, LEDs’, and motors explored in previous kits to build their own miniaturized humanoid robot. The Robotis Mini can also be programed using R+ Task and allows students to explore the most advanced C/C++ based programming concepts through programming its Arduino-like open-source embedded controller. Download the R+ Design app for a preview of robot assembly and structure. Zoom in/out or rotate the 3D model to view the robot from any angle. Robotis products can be programmed using RoboPlus Task (or R+Task 2.0), a graphical, drag-and-drop programming tool based on C++. R+ task software is a free colorful, icon-based programming tool based on C++ students can use to create programs for their robots. Programming your robots becomes more complex as you build robots that have more parts. With Robotis, you will have the opportunity to gradually explore more advanced coding concepts as you advance through each of our kits, eventually being able to explore advanced coding concepts with the Mini. Combine the learning power of Robotis with Online and Onsite PD and an unparalleled level of Instructional Support for your Essential Learning Package. 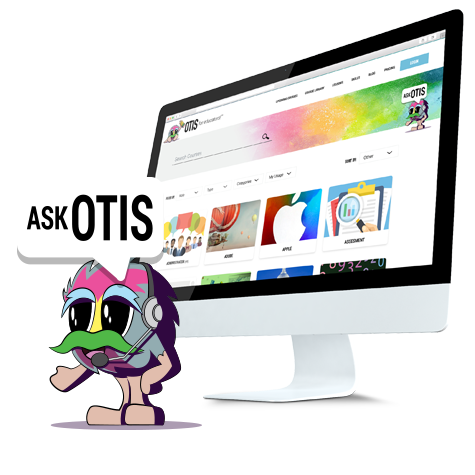 Support Robotis with a fast, personalized way to get instructional technology help from a state-certified PD specialist, right when you need it most. 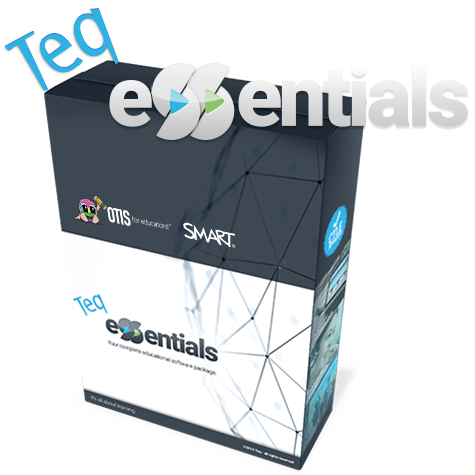 Learn to utilize the potential Robotis can have inside the classroom with Teq online PD.